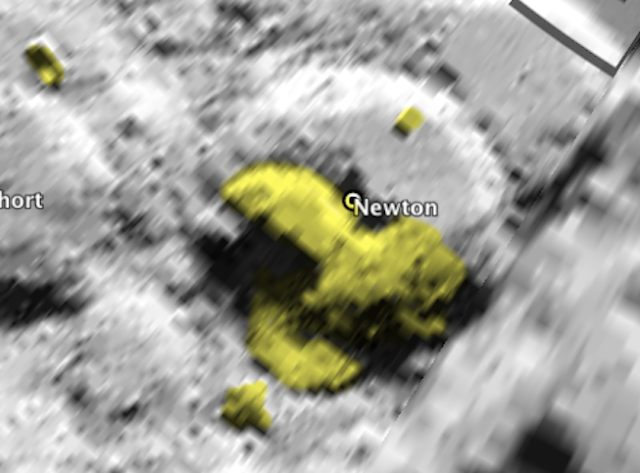 UFO SIGHTINGS DAILY: Newton Crater Is Made Of Alien Structures, Google Moon Confirms, Oct 2015, UFO Sighting News. Newton Crater Is Made Of Alien Structures, Google Moon Confirms, Oct 2015, UFO Sighting News. I found some structures on Google Moon map. The structures are surrounded by many others structures, which covers about 7% of the moons total surface area. 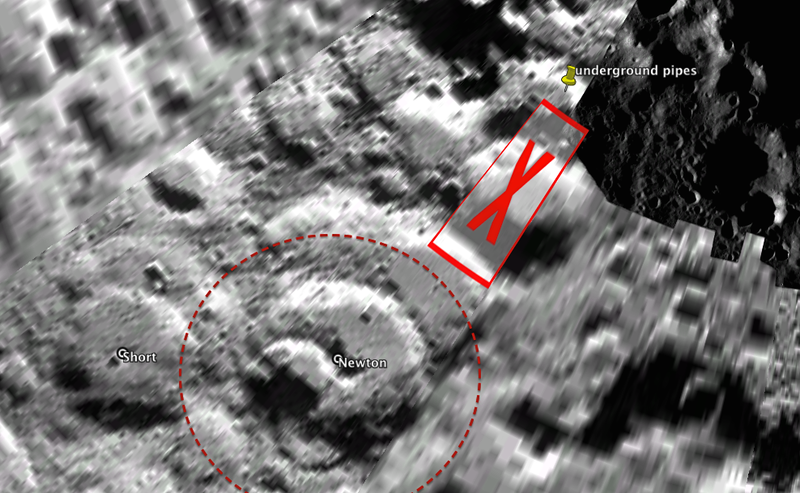 This part of the map has been heavily blurred by NASA on purpose to hide the truth from us. Copy past the coordinates above into the search box to confirm and maybe find others. There was also a giant red X on the map...which must be significant...since there is a giant area under it with structures.